Thanks George, I don’t know where I would be without your mentorship and friendship! Thanks for being the ultimate example of taking negative situations and always making them positive! Kristen, you always seem to post the right thing at the right time! Thank you SO much for your example and your leadership. God bless! It’s so neat to hear the stories of re-framing our attitudes during difficult times. You too are a great example of taking a perceived negative situation and making it positive. Keep leading Stephanie!! Kristen: Thanks for sharing Matt’s story. On a personal note I look back and find it was in times of struggle I grew spiritually. Gold is made purer in the fire so too are we made stronger in the fire of advirsity, Thank God for those who stuggled to show us that victory lies beyond our struggles. Awesome Bill! I love this comment 🙂 And so true it is! Thanks for your continued wisdom!! Thanks for sharing Matt’s story and your own thoughts on the struggles of life. I know that we all have “low points” in our lives, but your post was a real encouragement. Wow Cliff! What a powerful quote! You are spot on with your comment. George Guzzardo is a great representation of will, passion and self belief and charging forward despite the obstacles saying he ‘is going to do this!’ I know we are going to do this and make a big impact! I’m proud of your courage and rascalinity & looking forward to the journey with you and Debbie! I believe, as does Orrin Woodward, in a revolutionary counter-proposal — What if we inspired the people to learn and grew the intellectual capacity of the people, rather than forcing the people to learn and dumbing down the message for the people? This model has been proven to work for me already. It’s what I do in my classroom and it produces successful results. I mean, even Hollywood movies’ gets this one right, as messed up as our media is. I googled the “Top Ten Inspirational Teacher Movies” and here are a few I’ve found, in no particular order: Dead Poets Society, Freedom Writers, Stand and Deliver, Precious, Good Will Hunting, Finding Forrester, Dangerous Minds, The Karate Kid, and Coach Carter. Here is the usual scenario: the teacher believes in a group of students, who don’t believe in themselves. Then through tough love and encouragement, the students start to believe they have some value. 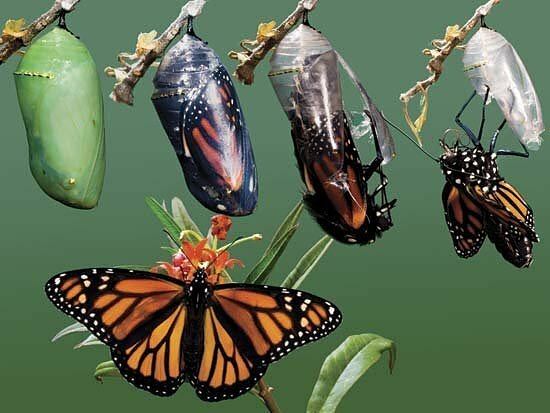 Usually the teacher is transformed in the process, as well. These movies are all great and they all share “something” in common — they ALL inspire not require! As a current teacher (for now…I will be financially free in time), I try my best to allow my students to THINK for themselves by allowing my students to incorporate the information by relating it to their lives…through simulations, class debates, persuasive and opinion essays, and historical skits. Of course, not everything in school can be related to oneself, but most things can…if your opinion is encouraged and you’re allowed to think for yourself! I don’t think I am the only educator who thinks this way either. I know for a fact that Oliver DeMille’s Thomas Jefferson Education is very close to what I use, if not exactly the same! But getting back to the movies, they’re inspiring because in most cases, the teacher has made a difference in the lives of his students and that is why teachers teach, isn’t it? Deep down, every teacher hopes to make a difference in some way, shape, or form in the lives of his or her students. So here’s Orrin’s challenge — What if we did this across America, Canada, and eventually the world? What if we started to change the world one student at a time? Through one classroom at a time? What if…this worked? What are your thoughts? WOW Jeff!! First of all I want to thank you for your comment! I love when someone takes the time to write their thoughts out like this. That is the purpose of blogging. You express what’s on your mind about things that are important to you with the hopes of inspiring the audience. I completely agree! Just as you said about the movies and your own teaching style as it relates to ‘A Thomas Jefferson Education,’ we are called to teach students how to think, not regurgitate information. Unfortunately, that’s exactly what it happening in our education system today. The education system isn’t developing leaders for the next generation, it’s barely designed to give students the job skills to make it in the real world. The former district I worked at changed their grading scale to basically a ‘no accountability/ no responsibility/ no discipline’ type of scale which meant that students who went through that program would not learn those above things necessary to ‘make it’ in life. it’s so true how the movies do play a role in showing that a difference can and should be made in education. But, as Oliver DeMille said, many teachers are handcuffed by a system that isn’t allowing for creativity. I believe unless you are a rascal, such as yourself, very few teachers will crawl out of the box, let alone leave the box so they can really educate the masses and make a difference. In your closing question, I would say that we are already making strides in changing the world one student at a time. With the edge series and bringing this leadership information into teachers lives (who are the influencers in the schools and students lives) I believe LIFE is making strides to fix some of the issues that are happening in education. While it doesn’t seem like it is happening fast enough, I believe that as we go to 1,000,000 people we will see major breakthroughs in education and the future generations leadership capabilities. But it is our responsibility and it already seems as though you are doing this in your classroom and eventually the ‘world’ as your classroom. Thanks again for your leadership and courage to make a difference. It is so refreshing to read things like this and know that there are people really doing what it takes to bring leadership back to the masses. (and please find me at the next major and introduce yourself, I would love to meet you). God Bless! You bet! Thanks for the positive words Kristen. Part of what you said struck me. I’m from the Upper Peninsula of Michigan and reside here now (I was a part-time long-term sub for my local high school US history class from Dec.-May), but last year I moved to North Carolina to teach 8th grade social studies and let me tell you…wow! It was exactly as you said, “a ‘no accountability/ no responsibility/ no discipline’ type of scale. This was a clear plan for failure and to be polite…the negative environment just brought everyone down. After 1 year, that was enough for me out east and my fiance and I moved back to the UP of Michigan. But not to get too negative, I can now clearly see that so much has to change for our children to actually grow…not just be left out in the dirt without water and face the blistering hot sun all day long. Nice analogy, right? Anyway, I will definitely make a point to seek you out the last week of July in Milwaukee at our summer major! Take care and keep inspiring others to positively change the world…one “student” at a time!